Starting a new farming business is a tough decision to make. It’s a decision filled with the excitement of getting into something that is life changing and interesting but also filled with concerns about the risks ahead and the uncertainties involved. Starting a farm means that you have to put in extra long hours into your business and planning everything to the least detail. Motivation is simply the desire to do things. Motivation is the driving force of everything. When you wake up in the morning feeling syked up for work, ready to work those long hours and make the most out of your capabilities that’s motivation doing its thing. When you first few months of setting up any farm venture is usually also the most critical, it is important to recognize the impact motivation has on the future of your agribusiness. At the core of motivation lies passion. If motivation is the motor that gets the car moving, then passion is the fuel. 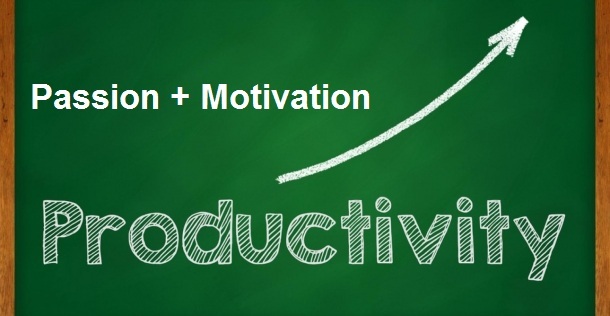 Sure, there are other factors that can increase motivation—such as incentives (usually in the form of money). But from observation it’s easy to notice a huge difference in the quality of work of someone who does something because it is their passion and someone who does something because they get a lot of money to do it. Passion also means dedication; A lot of new farming business fail because their owners lose faith and give up too early or aren’t willing to work harder. In Kenya there are many success stories of people said they won’t give up on their dreams, kept going and eventually succeeded. All in all, motivation and passion will help you get things done on your farm. And getting things done is crucial when you are a beginner farmer. When you are motivated and show the love for what you do, it will be easier to manage your activities and development well. So when opening a starting your new agribusiness venture, make sure you have a lot of fuel to keep the motor running, and it will help you get to wherever you want to go. Many thanks. If only you included market/ farm gate prices this would be the “page”. Imagine the hustle of tabling between pages to make a cost analysis! ?